1. To foster communication, collaboration, and mutual support in the spirit of collaborative ministry among diocesan leaders, professionals and institutions engaged in ministry to and among Hispanic Youth and Young Adults. 2. To articulate a common vision and foster a sense of identity among leaders, professionals and institutions who minister to and among Hispanic Youth and Young Adults. 3. To encourage and promote, in collaboration with other institutions, the professional development and spiritual growth of those who work in Pastoral Juvenil Hispana as well as efforts and programs that aide Hispanic Youth and Young Adults with their vocational discernment process. 4. To facilitate the dissemination of information regarding existing programs, resources, agencies and specialists in ministry to and among Hispanic Youth and Young Adults. 5. To establish a bridge among civic and pastoral organizations that work with Hispanic Youth and Young Adults, and with the pastoral juvenil in Latin America. Strengthen communication, collaboration and support between dioceses, institutions, and individuals, ministering to Hispanic youth and young adults. Develop a common vision and a sense of identity among its members. Share programs, materials and personnel resources. Promote the holistic development, spiritual growth and vocational discernment through services, resources, and events. Support dioceses in the creation and development of collaborative ministry among Hispanic youth and young adults. Be a bridge among civic and pastoral organizations working with Hispanic youth and young adults, and with the pastoral juvenil in Latin America. The Board of Directors oversees the business and affairs of La RED, establishes policy, and implements long range planning. Father Alejandro López-Cardinale, President (2019-2021). Fr. Alejandro López-Cardinale is a diocesan priest in the Archdiocese of Boston. He holds two Masters: Catechesis from Institut Catholique de Paris, France and Pastoral Juvenil from Universidad Politécnica Salesiana, Quito, Ecuador. He is a Doctor of Ministry candidate at Laval University, Quebec, Canada (Théologie Pratique, in thesis stage). He also belongs and collaborates with the Instituto Fe y Vida Pastoral Team. He is a permanent consultant of CELAM for Family, Life and Youth-Young Adult Ministry and a member of SCALA (Sociedad de Catequetas Latinoamericanos) and a member of SCALA Executive Board. 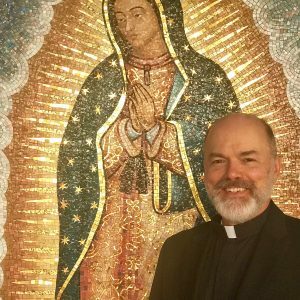 During his more than 25 years on ministry, he has focused his service on developing and studying different proposals of journeys of faith among jóvenes and youth-young adult Hispanics and its impact on their leadership and participation in the Catholic church and the society at large. Father Alejandro can be contacted at: president@laredpjh.org. Cynthia Psencik serves as Director of the office of Youth Ministry for the Archdiocese of New York. She has been committed to Pastoral Juvenil for 17 years. Since 2013, she is the current Coordinator of the Office of Young Adult and Campus Ministry for the Archdiocese of Galveston-Houston. 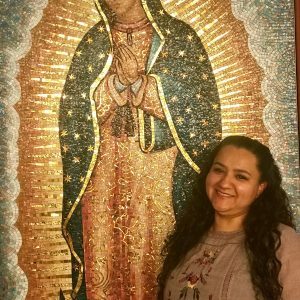 She participated and attended the First National Encounter for Hispanic Youth and Young Adult Ministry in 2006, is an active member for Pastoral Juvenil Hispana Region X and La RED. She has a degree in Computer Science from Prairie View A&M University and she pursues a Masters in Theology from the University of Saint Thomas in Houston. Mirna has participated in the formation of the Institute for Faith and Life for the past 3 years and obtained the certificate of Ecclesial Ministers Training and Advanced Youth Leadership. She is also part of the team of facilitators for the Course of Formation in Pastoral Juvenil in her archdiocese, accredited by the Instituto Fe y Vida. She has participated in the formation of Institute of Faith and Life locally – Basic Course: The Bible Through Young Eyes, Certificate for Advisers and Leaders in Pastoral Juvenil, Primera Misión Bíblica Juvenil and Pastoral Juvenil Hispana Course offered by SEPI. She keeps in continuous personal, pastoral, theological and spiritual formation. Norma is a native from Guadalajara, Mexico, studied Business Administration and lives with her husband and three children in Jacksonville, Florida since 1998. She has experienced in banking and credit institutions, has held a position as Financial Administrative Manager, Advisor, tax preparation, credit repair, and notary public. 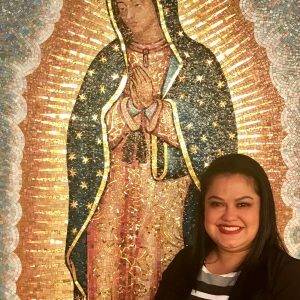 Norma works as coordinator of Multicultural Youth and Young Adult Ministry for the Diocese of St. Augustine since 2006, in addition to joining the Board as a member of La RED in 2014. Her ministry formation is base in courses offered by SEPI such as youth ministry courses, workshops advisers, and three years of Pastoral Leadership. Also she has taken online courses sponsored by the University of Notre Dame (STEP). Currently she is taking the course Building Intercultural Competence for Ministers. She is certified as facilitator of the STEP program (Systematic Effecting Training for Parenting) course that led her to work as a family counselor for several years. She is very active in her parish; her family as well, supports various ministries. 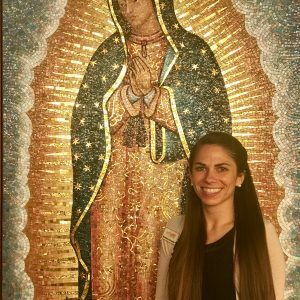 Brittany is the Coordinator of Pastoral Juvenil Hispana in the diocese of Knoxville, where she was born and raised. At age 16 she began going on short term mission trips to Tijuana, Mexico and fell in love with different cultures and languages. Because of her frequent trips to Mexico combined with a desire to devote more time to ministry and missions, Brittany chose to study Humanities: International Studies with a focus in Latin America and a minor in Spanish at the University of TN in Chattanooga. She later worked as an in-home family counselor with at risk youth before serving as a missionary with Hearts Home, a Catholic ecclesial movement, for 14 months in Ecuador. Brittany has been involved in ministry in various volunteer and leadership capacities since 2004, but is now so grateful for the opportunity to serve in her diocese with the support of SEPI and La RED. She can be reached at: bkoepke@dioknox.org. 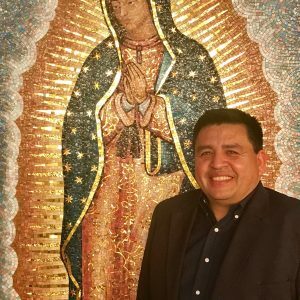 Juan Pablo Padilla serves as coordinator of Youth and Young Adult Ministry in the Archdioceses of Chicago. She was named after Martha y Maria (Lazarus Sisters, Luke 10:38) hoping she can to balance in life work and prayer while serving the Lord. Her motto: “ora, ora et labora”. Raised in Guatemala City, with a wide communications background (Advertising, Broadcasting, TV and Radio Production) and always missionary at heart. The Lord moved her to Birmingham, Alabama in 2002 to work at the largest Catholic Network EWTN (Eternal Word Television Network) where she applied her broadcasting skills and also produced several faith based series for adults and children. 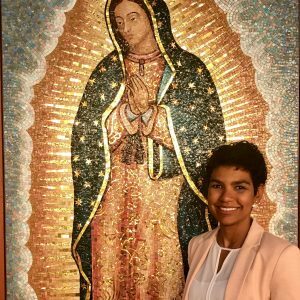 Started working at the Diocese of Birmingham in October 2013, today she is the Director for Youth and Young Adults for Hispanic Ministry and is able to perform her duties thanks to her studies at SEPI and the support of La RED. From her Hispanic Ministry Office, she supports different ministries among Hispanics. Archbishop José Horacio Gomez is the fifth Archbishop of Los Angeles. On April 6, 2010, Archbishop José H. Gomez was appointed Coadjutor Archbishop of the Archdiocese of Los Angeles, California, by Pope Benedict XVI. On February 27, 2011, he was installed Archbishop of the Archdiocese of Los Angeles. He is the first Hispanic to serve as Archbishop of Los Angeles, as well as the highest-ranking Hispanic bishop in the United States. 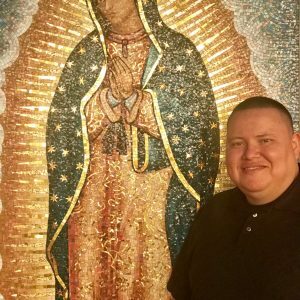 Paul Jarzembowski serves on staff at the United States Conference of Catholic Bishops (USCCB) in Washington, D.C., where he is the lead staff for the bishops’ initiatives for youth ministry, young adult ministry, and Pastoral juvenil Hispana. He is also the national coordinator for World Youth Day. Prior to his service to the USCCB, Paul was the Executive Director of the National Catholic Young Adult Ministry Association (NCYAMA) and the Director of Young Adult Ministry for the Diocese of Joliet in Illinois. He has spoken at local, national, and international conferences and events and has consulted with over 250 dioceses, parishes, universities, and Catholic organizations in the United States, Canada, the Caribbean, and at the Vatican. Paul received his M.A. in pastoral studies from and has served on the adjunct faculty of Loyola University Chicago in their Institute of Pastoral Studies. He has been a contributing author to The Next Generation of Pastoral Leaders: What the Church Needs to Know (Loyola Press, 2010), Young and Catholic in America (Paulist Press, 2010), Young Adult Ministry in a Box (NCYAMA/Busted Halo, 2012), and was a contributing author and executive editor for The Next Generation of Pastoral Leaders: Their Chips Are All In (NALM: National Association of Lay Ministry, 2012). Paul and his wife Sarah live in the Maryland suburbs of Washington, D.C.
Rev. Rafael Capó Sch.P. Born in Puerto Rico in 1968, he was ordained a priest in 1996. He is Director of the US Bishops Southest Office for Hispanic Ministry and its Southeast Pastoral Institute (SEPI). 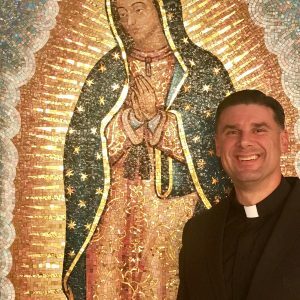 With degrees in Education, he has served as teacher, campus minister, youth and young adult (pastoral juvenil) minister, vocations director, and school president. In Mexico and Italy, he ministered to street children and immigrant youth. With a Doctorate in Practical Theology, he has taught Theology at the graduate level. He participates in the major organizations of Hispanic Ministry and serves the US Church in the coordination of this ministry in the Southeast dioceses. Walter Francisco Mena, MA is the Director of the Leadership Formation Program’s Department at Instituto Fe y Vida. Currently, he is one of the advisers to the Board of Directors of The Catholic Network of Pastoral Juvenil Hispana: La RED. He, also is part of the Process Committee of the National Colloquium on Pastoral Juvenil Hispana. Walter Francisco has a Masters in Pastoral Theology from the School of Theology and Ministry (STM) at Boston College in Massachusetts. He has more than 30 years of experience as a lay minister in the church, 18 of those years he has been ministering the Latino Pastoral Juvenil in U.S.
Dr. Cervantes is executive director of Instituto Fe y Vida—a Lasallian institute—dedicated to “Empowering young Latinos for leadership in Church and society,” through a Leadership Formation System, biblical ministry, pastoral publications, research, advocacy and collaboration. 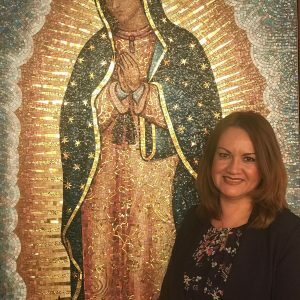 Carmen is a national leader and international speaker with extensive experience in program development for lay ministry, particularly with Latino young people, catechists, and parents. She is the general editor of La Biblia Católica para Jóvenes and has published more than 20 pastoral books. Carmen holds a master’s degree in sociocultural anthropology, a doctorate in education with specialization in educational psychology, and advanced courses in Scriptures, catechesis, and pastoral ministry. 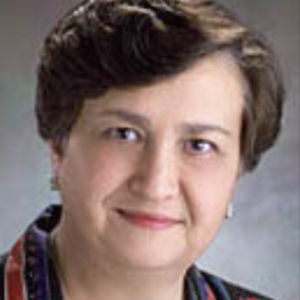 She was cofounder and president of the National Organization of Catechesis for Hispanics (NOCH) and of the National Catholic Council for Hispanic Ministry (NCCHM); and played a key role in the creation of the National Catholic Network de Pastoral Juvenil Hispana (La RED). The Spirituality and Liturgy Commission's mission is to emphasize and promote the encounter and the personal experience of the young person with Jesus leading them to be true disciples and missionaries of Christ. (The commission is open to any member of La RED). The Missionary Option Commission’s mission is to be the link between La RED and the Archdioceses / Dioceses to provide resources and opportunities to meet the needs of Hispanic youth and Young Adult Ministry and promote the mission of the Church. (The commission is open to any member of La RED). The Pastoral de Conjunto Commission's mission is to coordinate joint efforts with other commissions to provide the board and the membership of La RED a common vision toward the realization of Hispanic Youth and Young Adult Ministry in the United States. (It is open to any member of La RED). The FormationCommittee’s mission is to facilitate the permanentoffering of resources and general guidelines of processes and training programs that meet the realities of the Hispanic young people in the United States. (This is a closed committee - Members are selected by invitation only). The Finance Committee provides financial oversight for La RED. It reviews proposed and actual budgets, engages in financial planning, financial reporting, and the creation and monitoring of internal controls and accountability policies. (This is a closed committee - Members are selected by invitation only). NOTE: Difference between a Committee and a Commission. The committee works on specific processes related to the area of the committee and is composed of people with a specialization in the area of the committee. (Members are selected by invitation only). The commission is open to any member of La RED, carries out the appropriate area based on the operating commission manual. It is a joy and privilege to be part of the mission that God gave each of us as disciples , we come together guided by the holy spirit to share ideas and resources in order to help our young people in our communities. We are not just the future of the Church but also the present.